Why Choose Label Tape Systems? 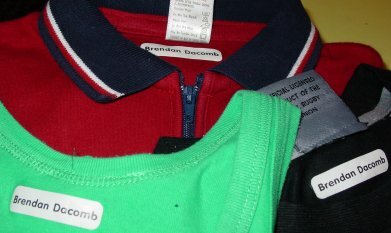 Clothing, eyeglasses and dentures can easily be identified with one of LTS Labeling Systems. It is the responsibility of the facility to ensure their residents have their belongings identified with a standard protocol to save your staff time in sorting lost items, replacement costs and the resident’s dignity issue. Label Tape Systems offers a cost effective solution to your facility and resident satisfaction. Reduce citations from the government by having ALL of your resident's personal items marked. 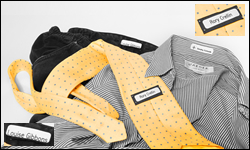 The time saved looking for and sorting garments, plus the replacement costs will far outweigh the cost of a new Label Tape Laundry System. Residents will appreciate the added security of having permanently labeled clothing and knowing they will receive that favorite shirt back from laundry. Our new and improved LTS Label Printer Software for Windows® is easy for even a novice computer user! Use your new system as a way of generating additional revenue, adding even a $10 fee per resident can add up to needed funds! Label Tape Systems offers only the best in equipment; our new dot matrix printers are modified in our warehouse and subject to the strictest of quality control standards. Label Tape Systems stands behind everything we sell. If for any reason you are not 100% satisfied with any product, we will issue a complete refund! Free technical support with every system purchase. Our Technical support is never outsourced.